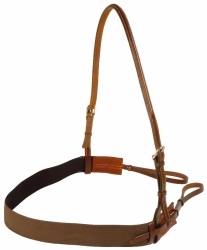 Made from soft English leather, this Mark Todd 5 point breastplate has stainless steel buckles, adjustable running martingale attachment, sheepskin shoulder pads and elastic inserts. 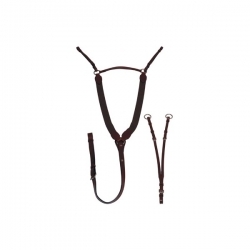 The top straps fasten with a trigger clip to the dee rings and the bottom straps loop on to the girth straps. It secures your saddle in place and ensures pressure is spread over a wider surface area. 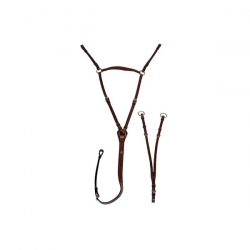 The elastic and sheepskin pads also offer more comfort for your horse.